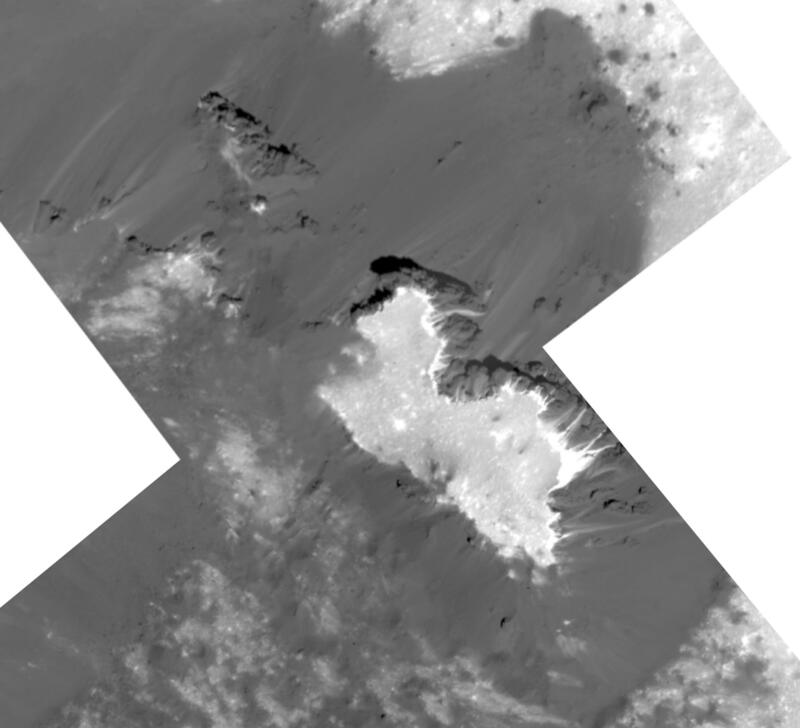 This mosaic of a prominent mound located on the western side of Cerealia Facula was obtained by NASA's Dawn spacecraft on June 22, 2018 from an altitude of about 21 miles (34 kilometers). 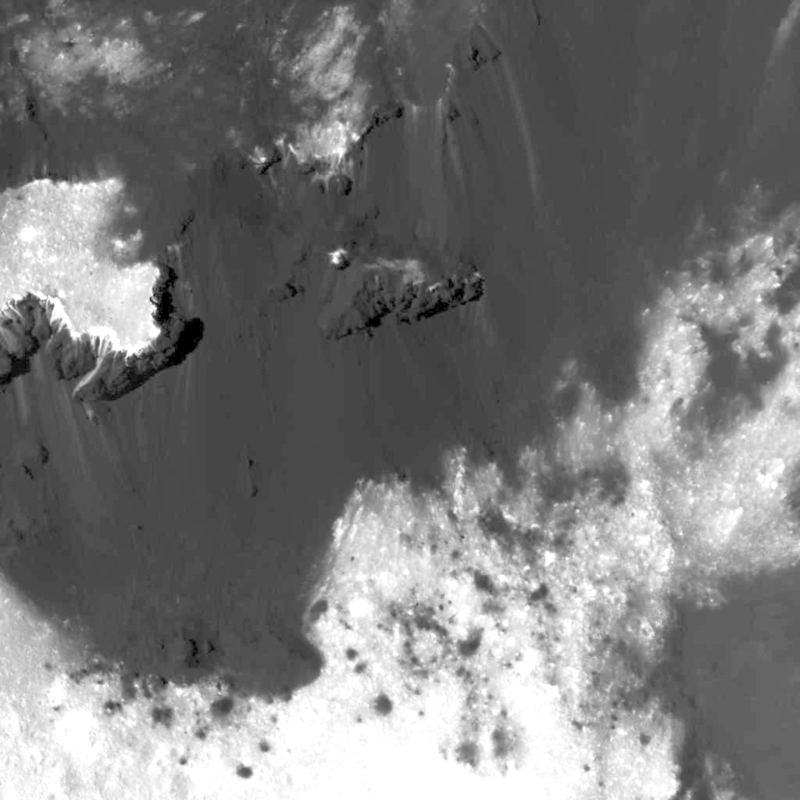 The geometry of this feature is similar to a mesa or large butte with a flat top. It has been puzzling scientists since its discovery in the early images of the Dawn mission at Ceres. These new images reveal many details. 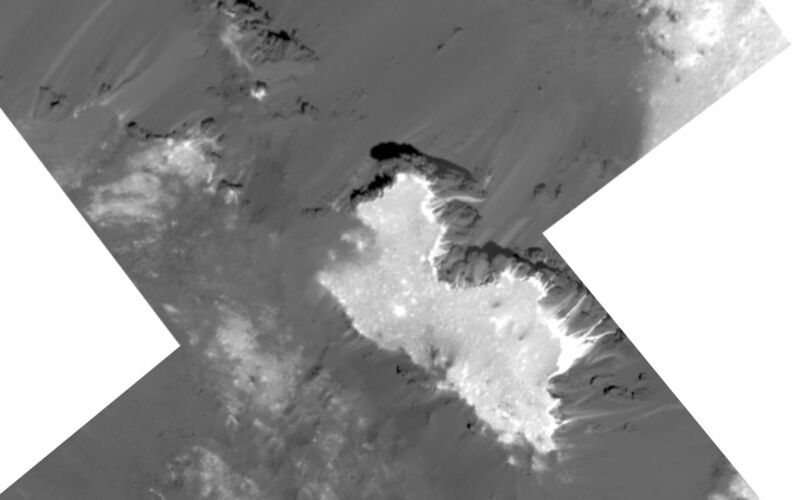 In particular, the relationships between the bright material, mostly composed of sodium carbonate, and the dark background might hold clues about the origin of the facula. This feature is located at about 19.5 degrees north latitude and 239.2 degrees east longitude. 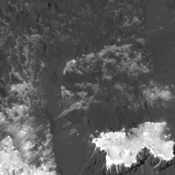 NASAs Dawn spacecraft captured this view of Ceres limb on May 19, 2018. 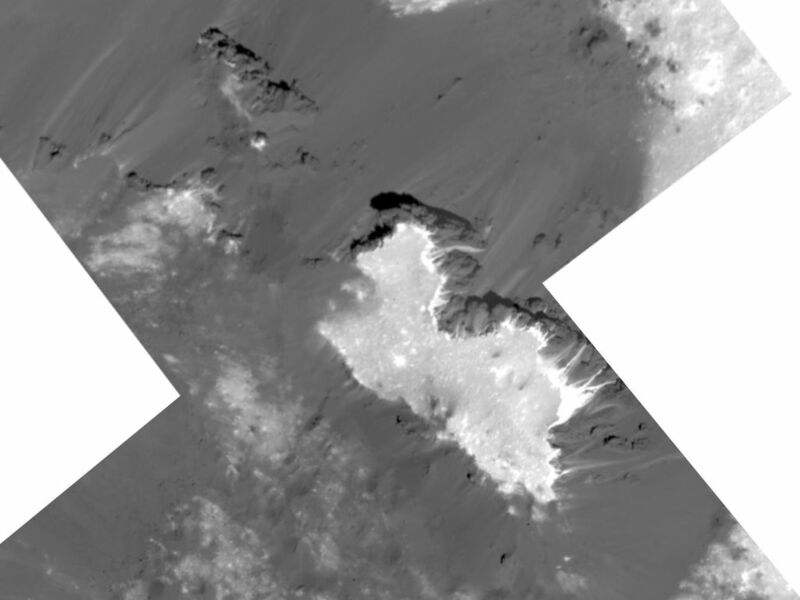 This image shows the complex central construct and concentric fractures in the large Dantu Crater on Ceres, as obtained by NASAs Dawn spacecraft on September 1, 2018 from an altitude of about 1335 miles (2150 kilometers). 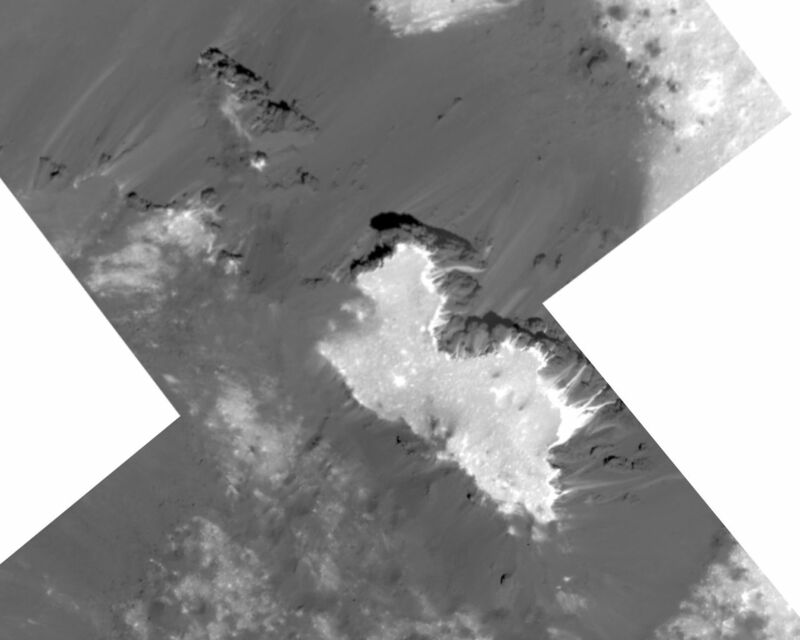 This image shows Haulani Crater and its bright ejecta near the limb of Ceres and Oxo Crater, as obtained by NASAs Dawn spacecraft on September 1, 2018 from an altitude of about 2075 miles (3340 kilometers).